Follorinë apo Fllërinë (greqisht: Φλώρινα/Flórina; bullgarisht/maqedonisht: Лерин/Lerin) është një qytet i Greqisë dhe qendra administrative e Rrethit të Follorinës. Popullata e qytetit, sipas regjistrimit të popullsisë të vitit 2001, ishte 17,622 banorë. Emri i qytetit rrjedh nga fjala greko-maqedone φλωρός floros (χλωρός hloros në greken standarde) që përkthehet si "gjelbër" ose "freskët". Gjysma e popullsisë së Follorinës ishte me prejardhje shqiptare dhe e besimit mysliman në shek. e 19-të. Sot popullsia shqipfolëse është ortodokse dhe shumica nuk e tregojnë hapur kombësinë e tyre në publik. Në 1896 diplomati dhe udhëtari francez Victor Bérard vizitoi Follorinën dhe përshkroi qytetin të përmbante 1500 shtëpi të shqiptarëve dhe "sllavët të konvertuar" me rreth një 100 familje "turke" së bashku me 500 familje të krishtera. ^ Hart, Laurie Kain (2006). "Provincial anthropology, circumlocution, and the copious use of everything." Journal of Modern Greek Studies. 24. (2): 309. "Just as in the countryside local oral geography preserves Turkish, Albanian, and Slavic toponyms, traces of the urban Muslim presence are well known in the town: this pile of rubble was the hammam; this stump of stones the last standing minaret. "; p. 310: "The extreme population movements of the late nineteenth and early twentieth centuries in (what was to become) the western Macedonian border area of Greece expose what Patrick Finney has called the “longue durée quality of nation-formation (Finney 1993). They include not only the 1919 Bulgarian-Greek population exchange and the Greek-Turkish exchange of 1923, but also innumerable significant, informal, earlier shifts to towns such as Florina by Muslim and Christian Albanians, Turks, Vlachs, Gypsies, Jews, as well as the immigration of Greek Christians from the South after the mid-nineteenth century Ottoman Tanzimat reforms. "; p. 314. "Florina was not much admired by European travelers in the dying days of the Ottoman Empire, particularly, it seems, in contrast to its rival a little to the south, Kastoria. The French traveler Bérard describes it in 1896 as consisting of 1500 houses of Albanians and “converted Slavs,” with perhaps a hundred “Turkish” families and 500 Christian families. “These Slavs nonetheless call themselves Greek and speak Greek—with us at least” (Bérard 1911 (1896):307). Bérard identifies only a few hundred Bulgarian sympathizers, but notes that the local Turkish administration is pro-Bulgarian." p. 324. "The regionalism of Florina had included, in the course of turn of the century politics, a certain advocacy of Muslim-Christian pluralism: local Christians (from at least five regional language groups including Turkish and Albanian) in Florina lobbied for the return of the mufti (Muslim cleric) who had been exiled by the Venizelists in 1914. "; p. 323. "In official pamphlets Floriniotes describe the mix of populations as “yigeneis (autocthonous), Vlachs, Arvanites, Pontii, Mikrasiates, and ‘tsinganoi’ (Gypsies).” The circumlocution “yigeneis” (literally earthborn) covers the unnamed Macedonian-speaking population and implies that they are part of a larger category of regional natives. "; p. 341. "This intentional vagueness is lost in translation. 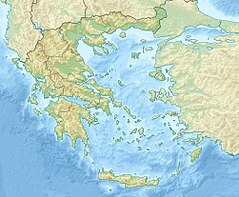 In the English translations of local folkloric publications, where they exist, yiyeneis is reduced to the nationalistic locution “local ethnic Greeks”: e.g., “The population comprises local ethnic Greeks, Arvanites, Vlachs, and mrefugees from Monastir (1913–14), from Pontus, Thrace, and Asia Minor (1922)” (Mouseio 1994:88). Kjo faqe është redaktuar për herë te fundit më 19 tetor 2018, në orën 13:41.